The FY 2004 Appropriations Act required the Governor of Hawaii to decide if the State wished to participate in the State CDBG Program by July 31, 2004. The State made the decision not to participate in the program. As a result of this decision HUD administers the non-entitled grants in Hawaii, allocating funds on a formula basis using population, poverty, and housing overcrowding as the basis for allocating funds with the poverty factor carrying a double weight. The FY 2004 Appropriations Act requires HUD to administer the Non-Entitlement CDBG Grants in Hawaii in the same manner that it administers the CDBG Entitlement Grant Program. HUD's Honolulu Field Office directly administers the CDBG Program for non-entitlement counties in the State of Hawaii. CDBG is authorized under Title 1 of the Housing and Community Development Act of 1974, Public Law 93-383, as amended; 42 U.S.C.-530.1 et seq. 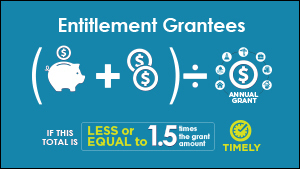 The Non-Entitlement CDBG Grants in Hawaii offer a source of funding to benefit community needs in but not limited to economic development, housing rehabilitation, public facilities, construction or installation for the benefit of low- to moderate-income persons. Contact your local HUD Field Office with questions.